Providing exceptional customer service is a team effort. Everyone, people and processes, with your organisation need to have the same unified view: the customer comes first. This may sound straightforward, and you may believe that your organisation is already doing this, but when was the last time you viewed your organisation as a customer would? Do you offer a quality product? Are you more efficient than your competitors? Are your service levels up their with the best in industry? Are you reliable? Is your organisation geared towards delighting your customers? Our customer services solution is more that just a few pointers to guide you, but rather we will work with your organisation to create the architecture and culture in which your business achieves long-term customer partnerships and mutual profitability. We will do an analysis of your business based on a number of characteristics of a customer driven business. This will help us to identify the strengths and weaknesses of your business. The analysis will include internal surveys, customer satisfaction and loyalty surveys, mystery call audits and so forth. This research culminates in a research report, a number of recommendations to make your organisation more customer focused and the data needed to customise the staff training interventions. We work with your organisation to set up an internal team of managers who will own and maintain the “customer-drive culture”. They will meet regularly to review customer and staff issues to identify where current systems are hindering customer service and work with various departments to constantly improve systems and the way you deal with customers. Once this internal team is in place we will work with them on a regular basis with advice and coaching. Our training initiatives kick-off with fully-customised training for executives, managers and team leaders. True customer service is top-down and we ensure that all levels of your organisation learn the basic skills of customer service and understand their role in making it happen. We then train all staff – front line and back-end. This training is customised for specific functions from call-centre and help-desk staff to credit controllers and IT support staff. We firmly believe that everyone in your organisation has a role to play, and needs to be engaged at a meaningful level to get commitment and collaboration between all people and agents. Changing the culture of an organisation is an on-going process and we will continue to support your company during this process in a number of ways, ranging from follow-up sessions and talks to bespoke newsletters and articles. 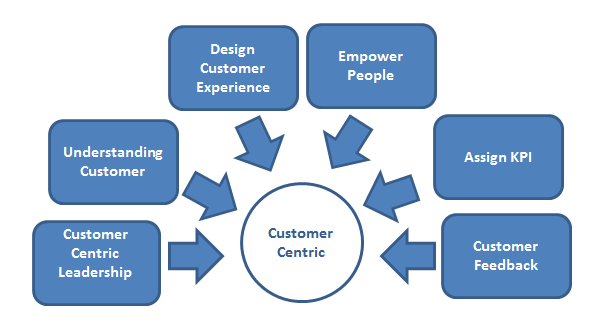 We also recommend an ongoing coaching matrix to embed and activate the customer service culture. This can be undertaken by us or you can nominate or employ in-house coaches within your organisation that we will train up and meet with on a regular basis. We will assist in driving Customer Centric Cultural Change within your organisation and will support in implementing each aspect. We are ideally placed to implement a large scale, customer centric transformation project in your organisation that will drive customer service delivery and support you during your future growth strategy!